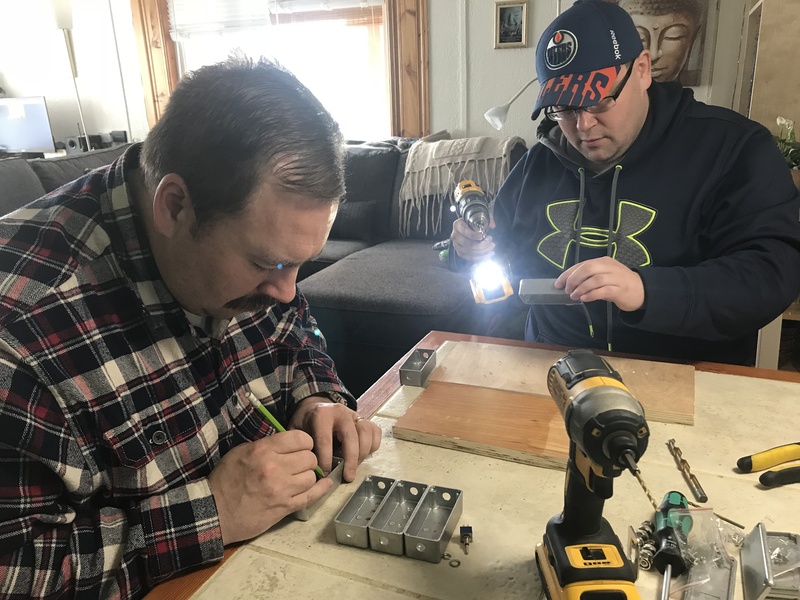 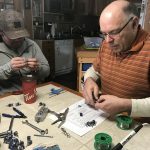 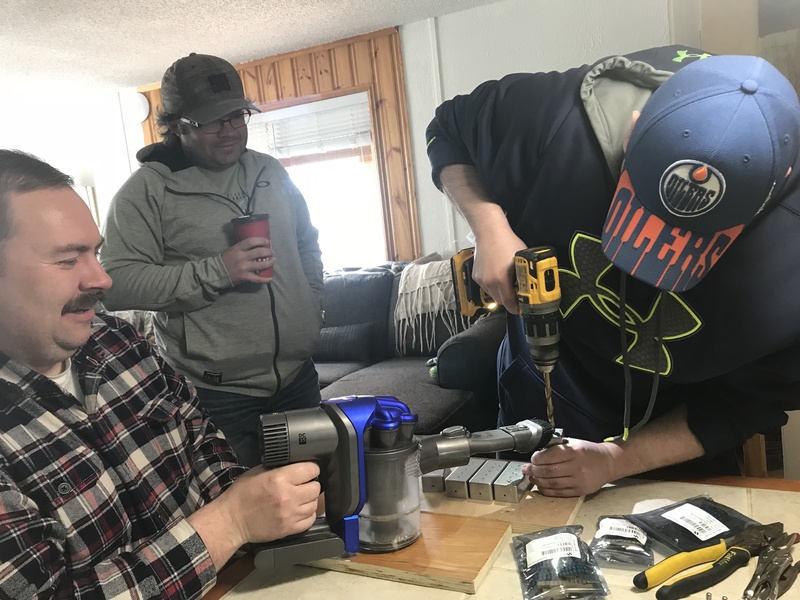 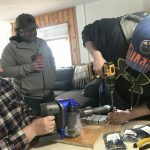 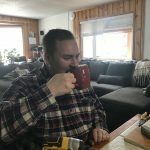 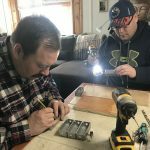 A few local hams in Whitecourt, got together at Mike Morin’s place on April 22, 2018, to start on the great Fox Hunt project. 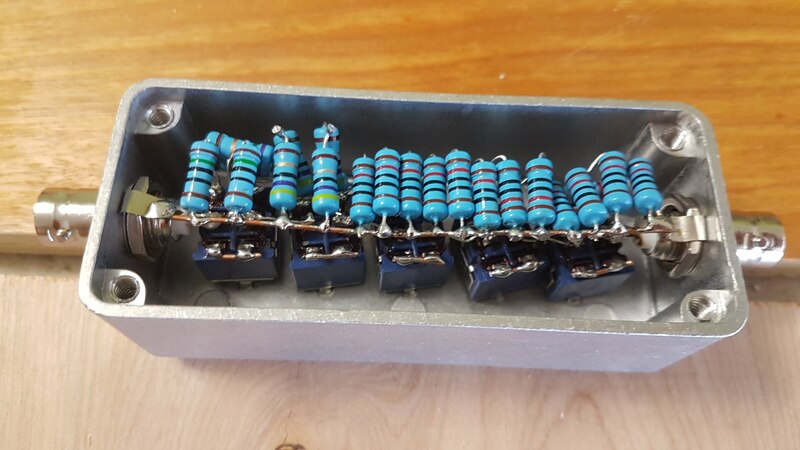 This is project one of three that will come together with a fun activity. 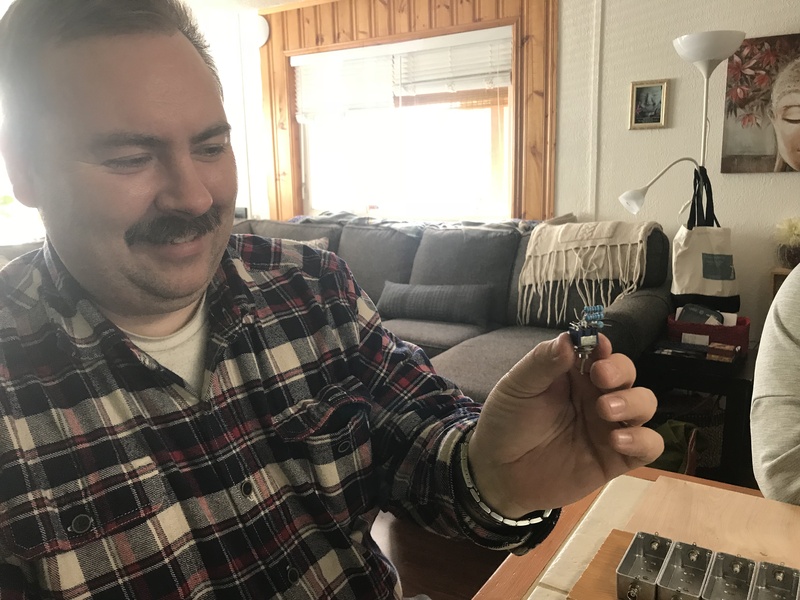 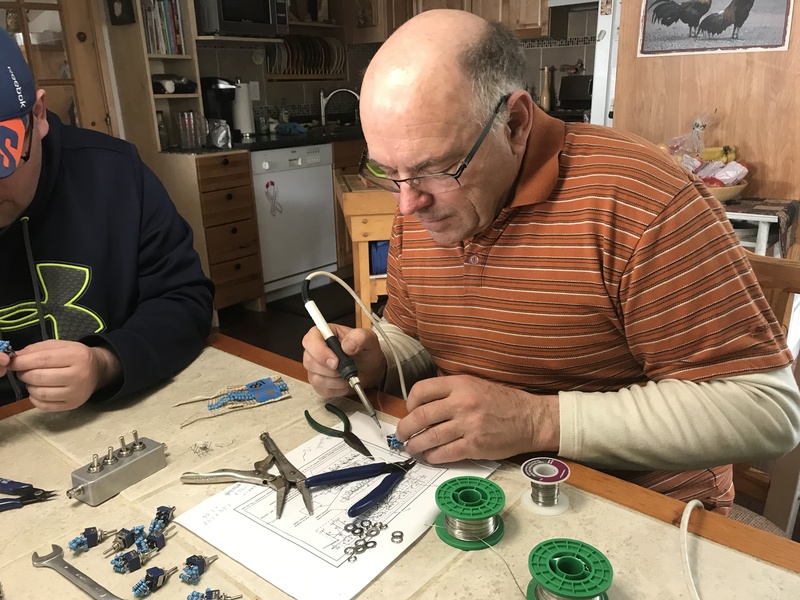 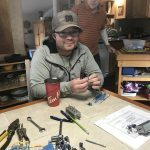 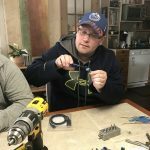 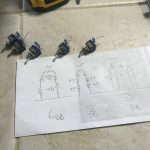 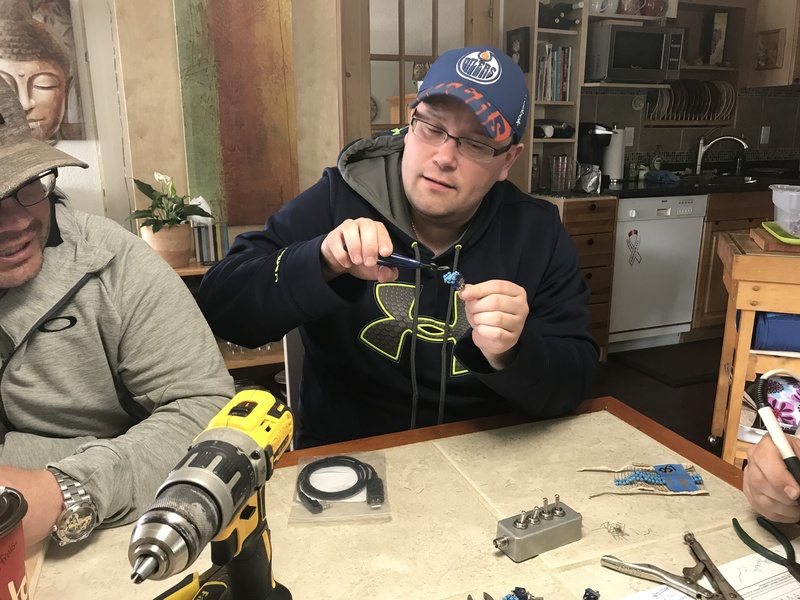 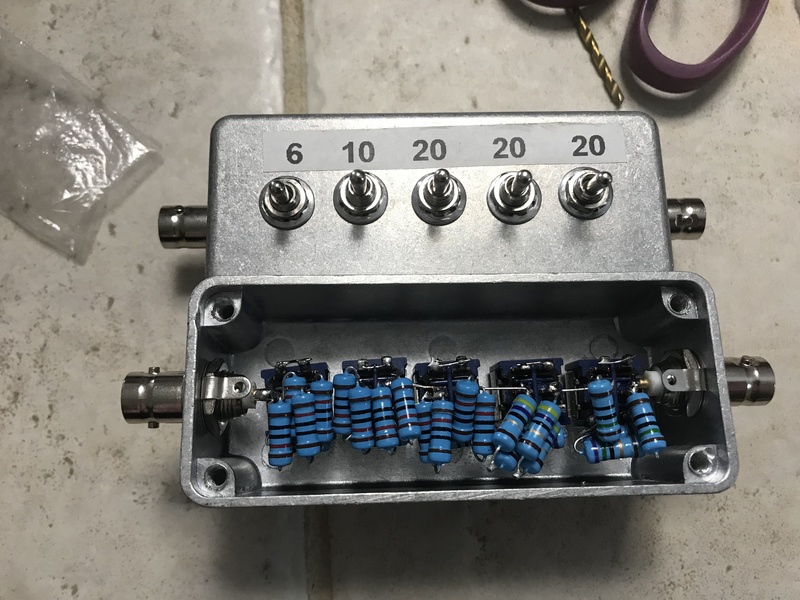 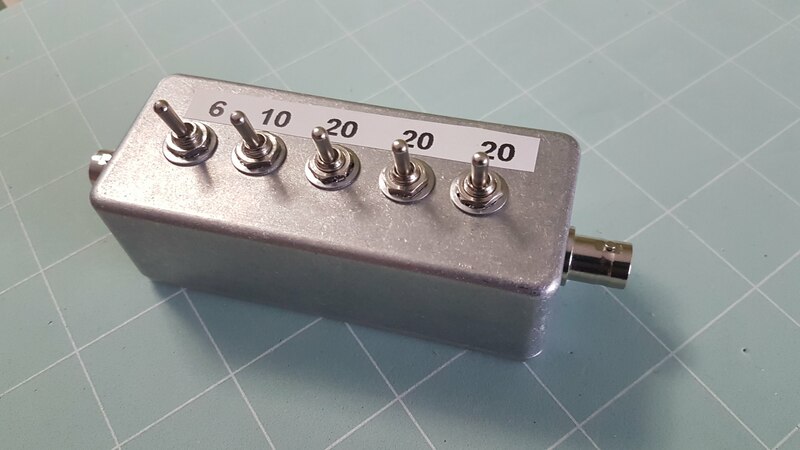 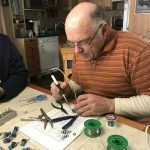 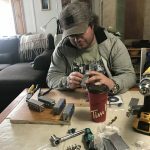 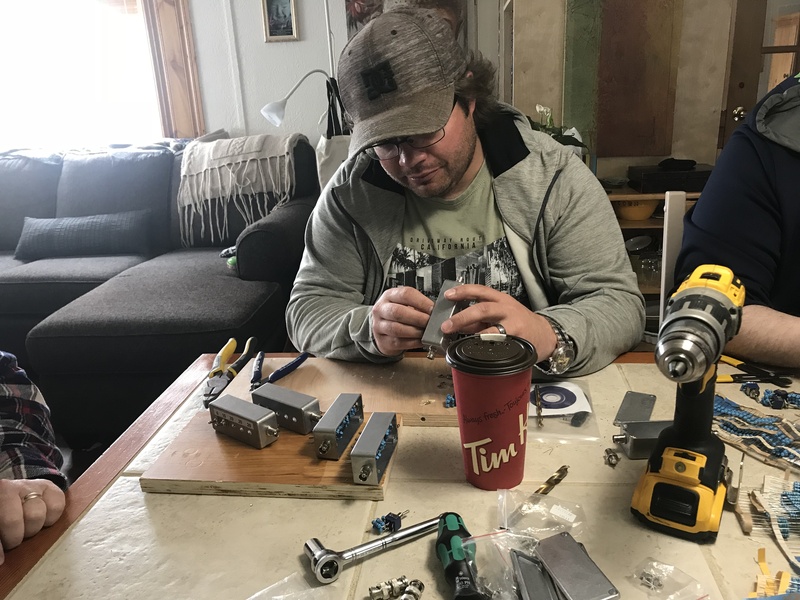 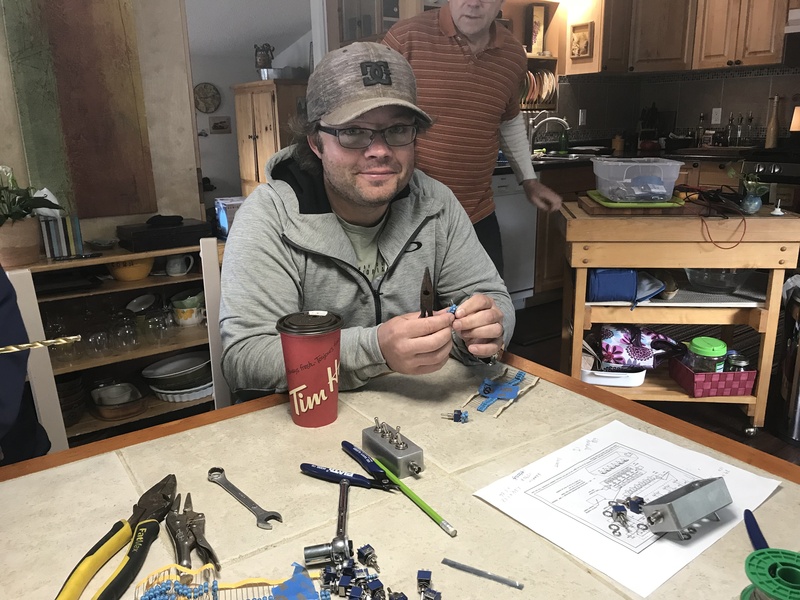 Mike, taught us how to build these attenuators, the purpose of the attenuator is to help reduce the signal strength of a beacon (Project three) that we will be trying to find randomly hidden throughout Whitecourt. 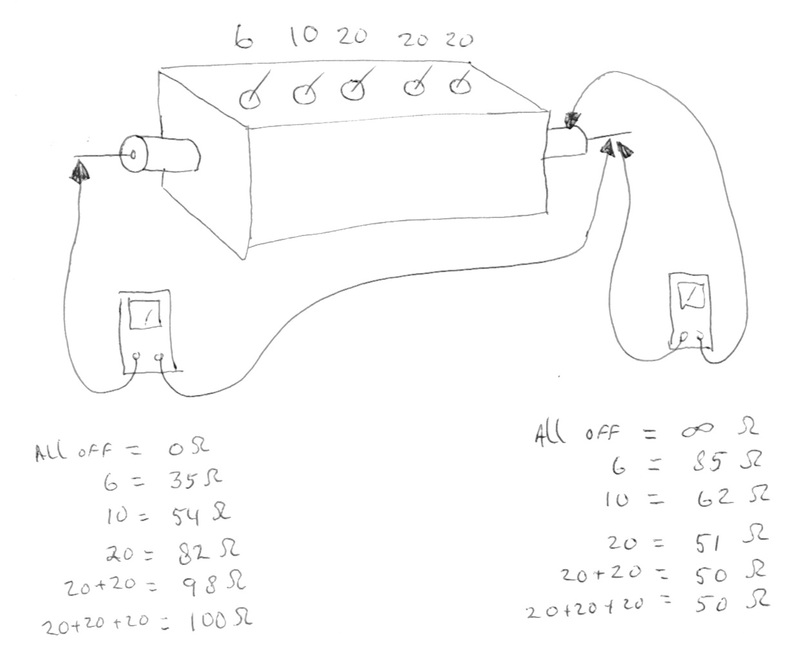 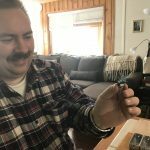 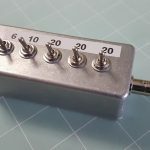 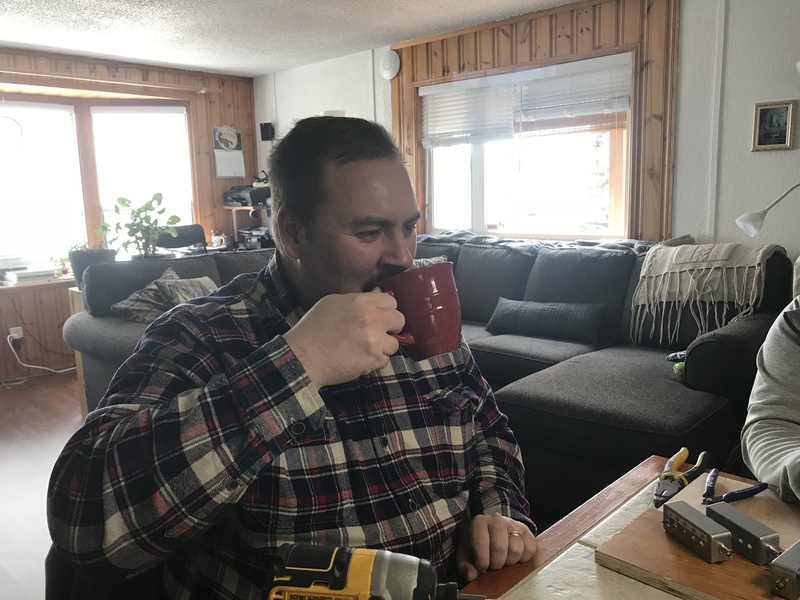 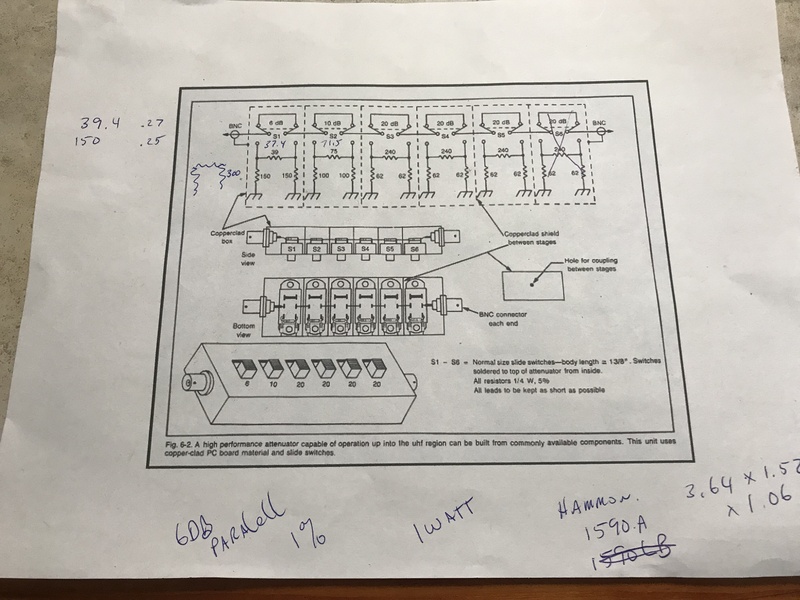 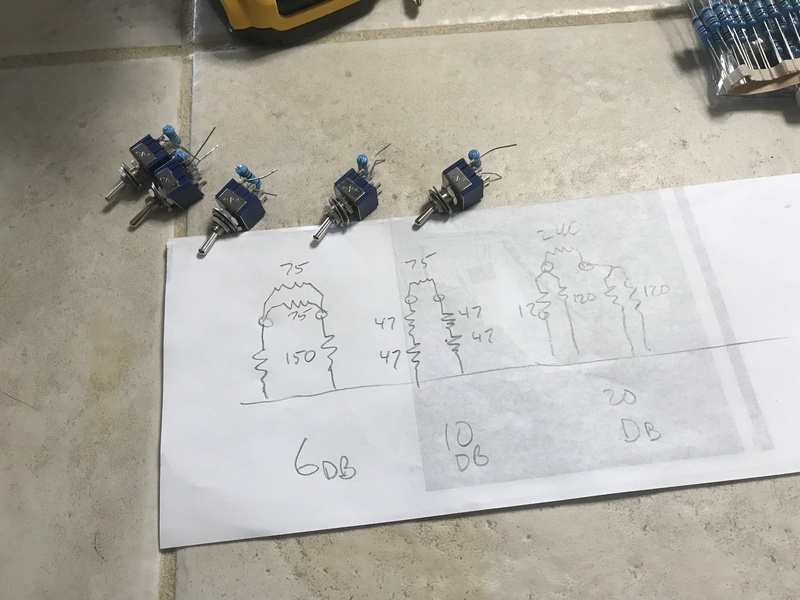 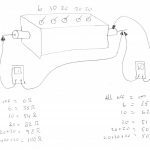 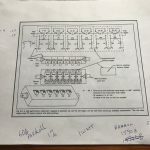 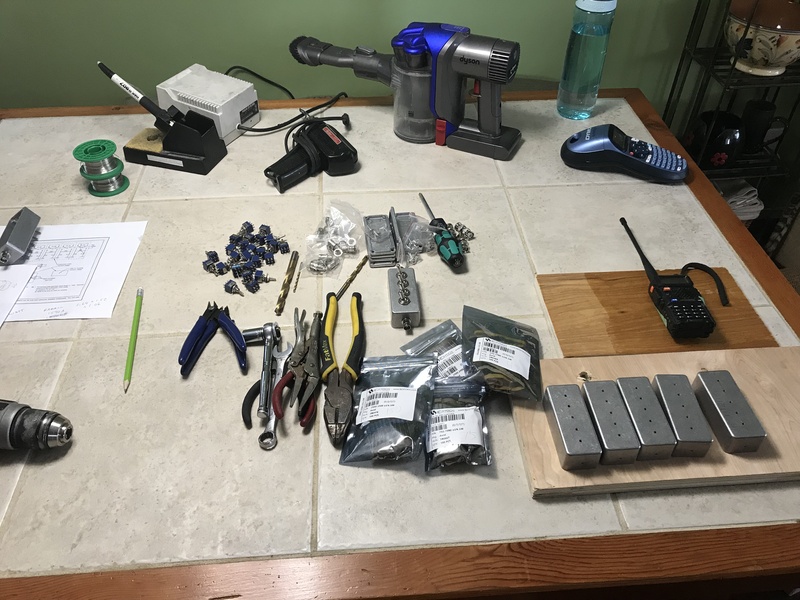 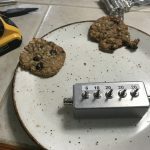 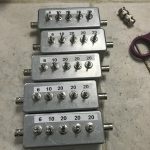 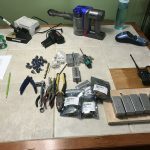 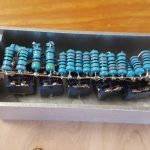 During this build Mike’s wife Geneviève made us cookies & coffee/tea, we all learned the “delicacy” of working with resisters and tiny switches, We set up an assembly line and moved through that to build the attenuators. 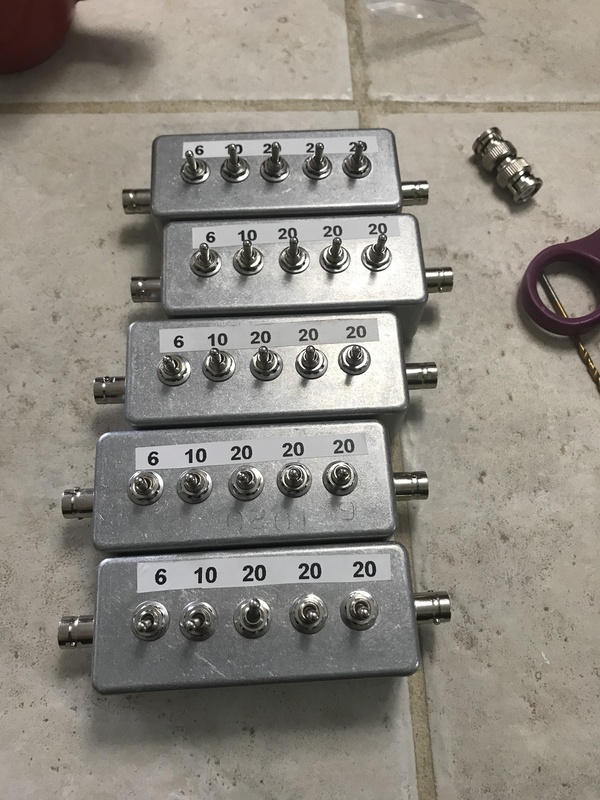 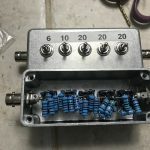 Like all assembly lines, as you go you get better, and whoever got the last attenuator made most likely had the best one,😊 so we thought!!!! 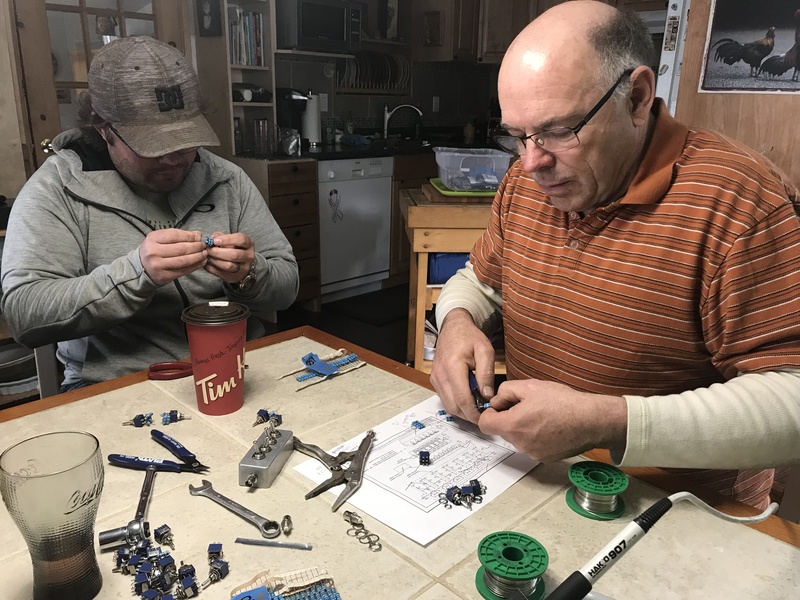 Later on, Mike pointed out that we had built them wrong and with the wonderfully warranty that was offered on them, Mike corrected & exchanged. 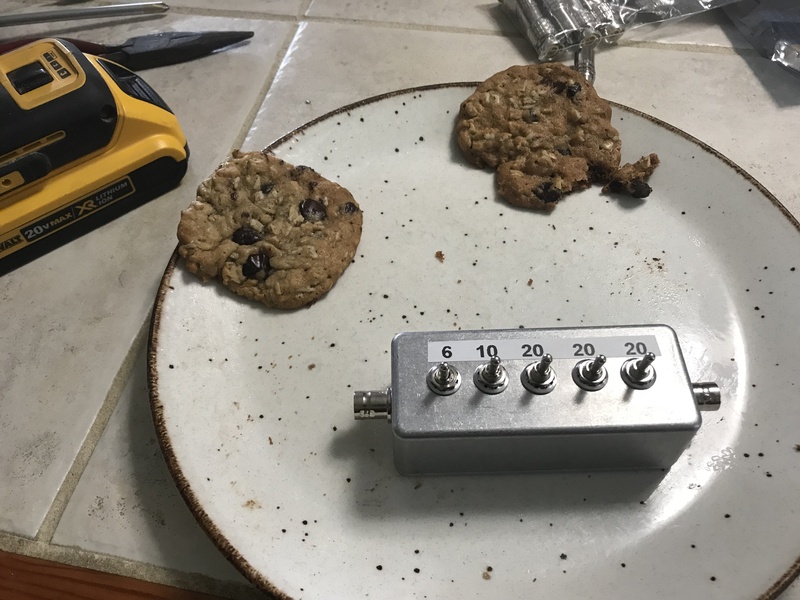 At the end of the day, it was a great social, good cookies & learning experiences for all of us.